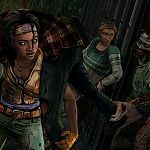 TellTale’s The Walking Dead: Michonne miniseries continues apace with the second episode – Give No Shelter, picking up precisely where In Too Deep left off; with Michonne and Sam reeling from Greg’s death, and whatever choice was made regarding Zack’s fate. 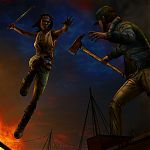 Episode Two begins with Michonne and Sam escaping their captors, attempting to rescue Pete and escaping from Norma’s clutches; before swiftly exiting Monroe heading for shore aboard a pilfered boat – with Norma, Randall and their cronies in hot pursuit. 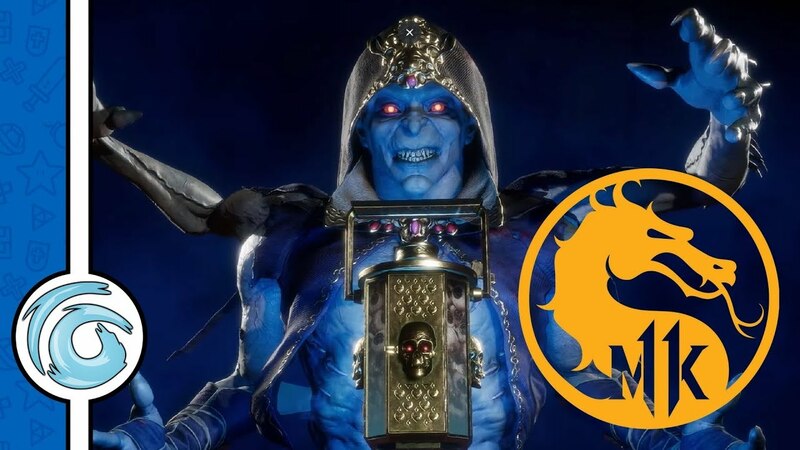 The entire sequence of events takes place prior to the opening titles roll. 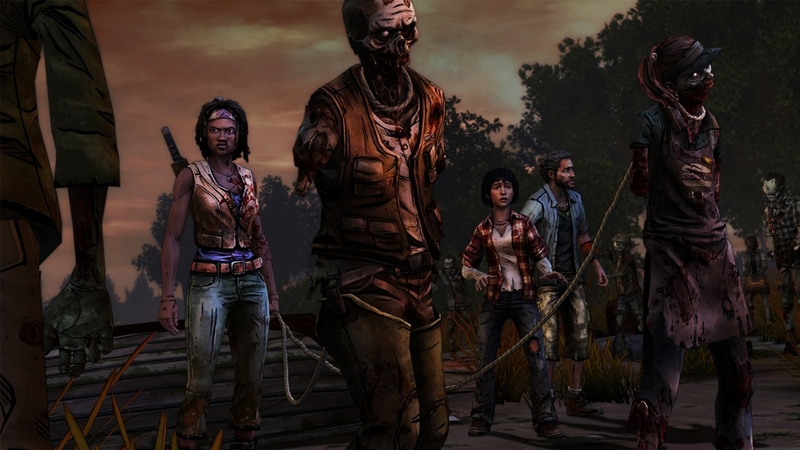 Following the title sequence, Sam and Michonne discuss their next move – heading for Sam’s family home. The boat hits the shore and is met by a welcoming committee of walkers, with Randall and company gaining ground. Drastic times call for drastic measure, a few quick slashes of Michonne’s machete make two jawless, armless walker guard dogs to help our group through the sea of undead. 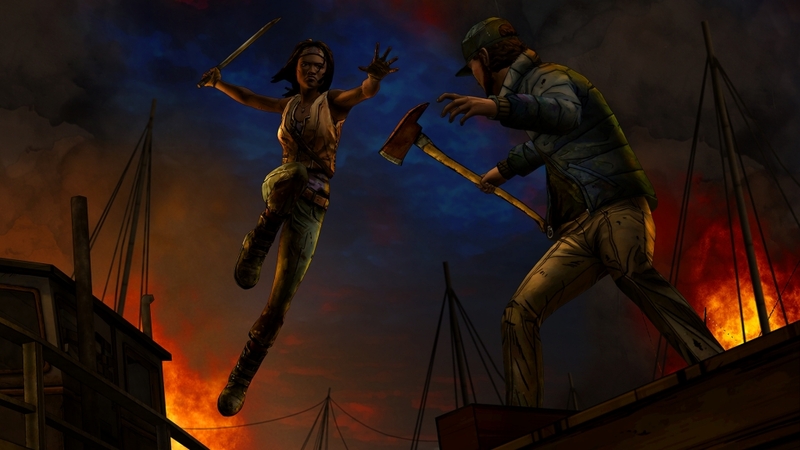 I’m glad TellTale chose to include this – aside from her katana, this is the other iconic picture that springs to mind when thinking of Michonne, with the tactic appearing in both the TV show and the comic books. Having lost Randall, the group head for Sam’s family home and a chance for further discussion on what to do next. 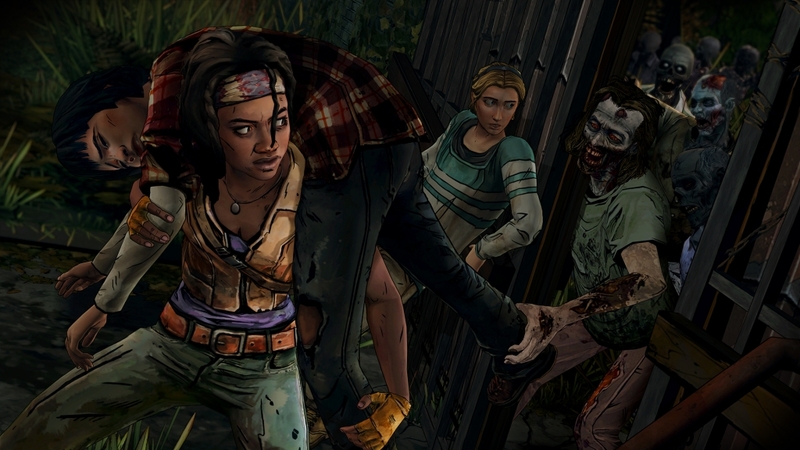 It doesn’t take long for the Monroe posse to catch up to the group and shoot and wound Sam, leaving Michonne to try to keep her alive long enough to reach home. Before the incident Sam mentions that her Dad is a lawyer, so I was expecting a suburban home. What I was met with was a creepy plantation-style house in the middle of a bayou, closer to what I’d expect to see in a movie about a group of murderous hillbillies. 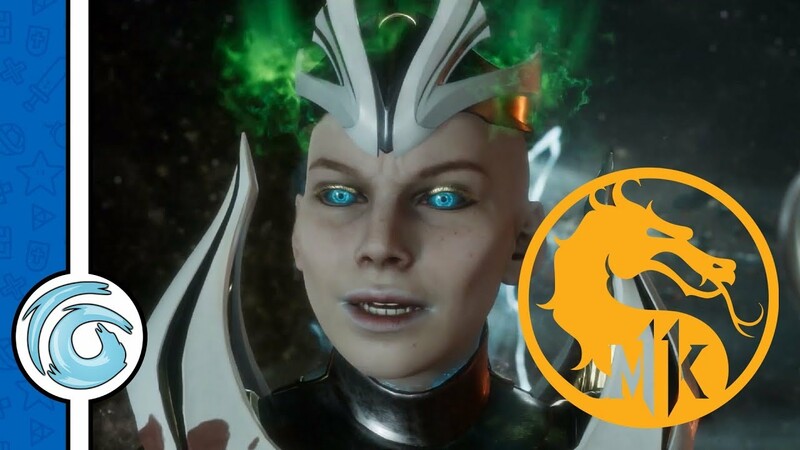 After convincing Sam’s family to let you into their compound, you’re quickly introduced to Sam’s kin, whilst also attempting to save her life. Of course Randall’s group isn’t far behind and the episode ends with a decision that I agonised over perhaps more than any other TellTale game – in fact it wasn’t until the timer bar had almost expired that I finally made my choice. I think this may be due to the facts that there’s only one more episode, and the consequences will definitely have dire repercussions. 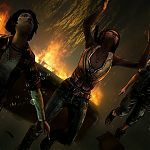 Aside from the main story, Give No Shelter continues with Michonne’s flashbacks / hallucinations to her early zompocalypse experience with the loss of her daughters and subsequent survivor guilt. 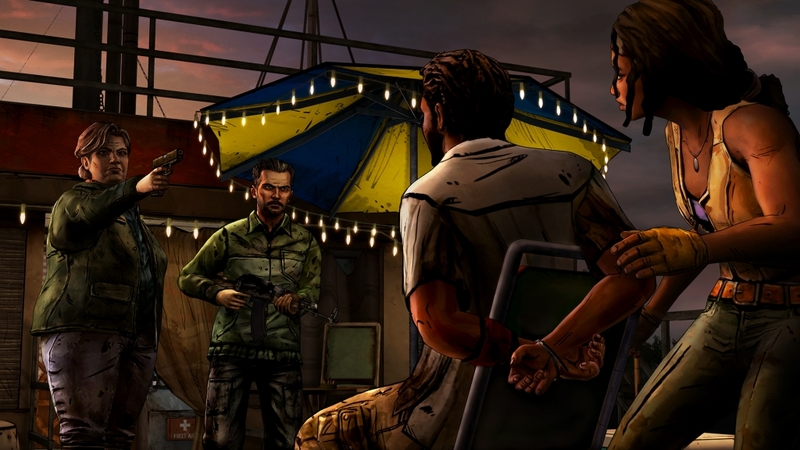 The flashback made me realise just how subtly impressive the graphics are, as you gaze out of the window of Michonne’s high rise apartment – it’s like watching a moving comic book. This same thought sprang to mind later in the episode, during a conversation with Sam’s Dad, as the cel-shading, lighting and facial expressions were spot on. 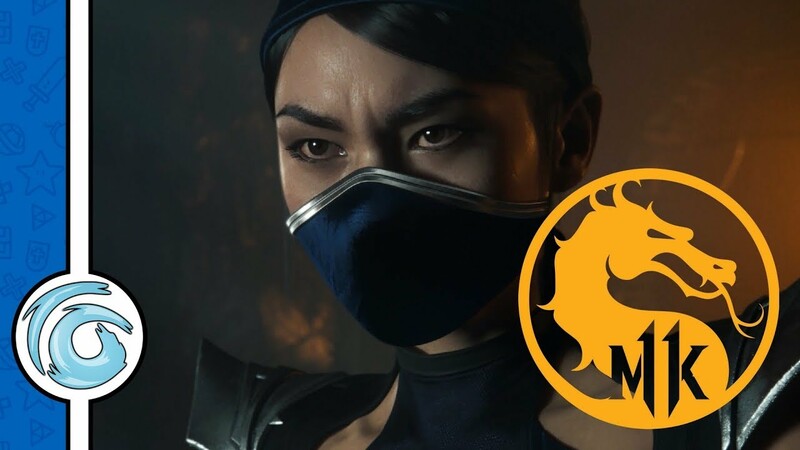 The episode has its share of the usual quick time events and conversation options, along with the five big deciding factors that will shape the final episode. Curiously, I usually fall into the majority column on the end of chapter stats round up, but a few of my decisions went against the grain this time. 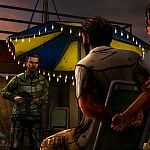 Give No Shelter was heavier dialogue-wise than In Too Deep, which was needed to set-up the events of the concluding chapter What We Deserve – due for release in later in April. There are a lot of loose ends to tie up in this shortened season. 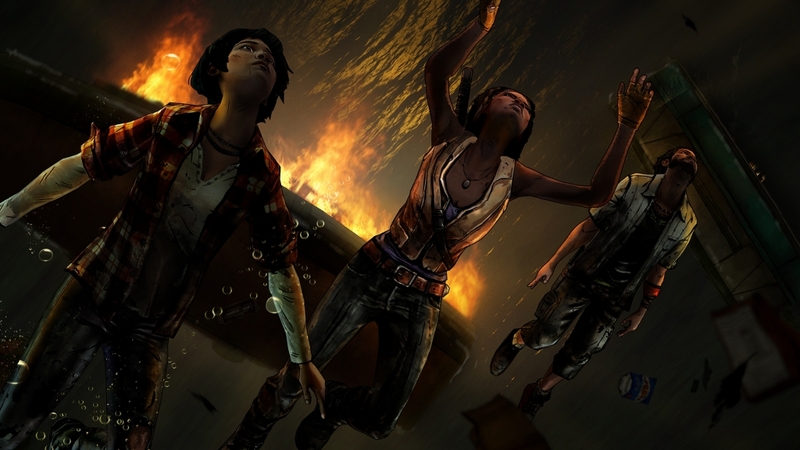 I mentioned in my review of In Too Deep that I was interested in how my decisions would play out, and so far I’ve seen “so and so will remember that” pop up quite a few times, with no evidence that my choices have effected how any of the other characters will act when the inevitable final showdown between Michonne and Norma takes place. I’m itching to see how this all plays out, bearing in mind how I wrestled with my final decision of this episode – I just need to remind myself that there’s no place for happily ever after in The Walking Dead’s universe. 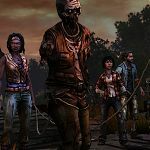 This review is based on playing the PlayStation 4 version of The Walking Dead Michonne: Episode 2 “Give No Shelter” that was kindly provided for review purposes by Telltale Games.